Happy Monday, everyone! I hope you’re enjoying the day before Fourth of July. Monday is a little easier when you know the following day is a holiday! Today I wanted to share more about an exciting opportunity I had last Friday with some other Cincinnati fashion bloggers. 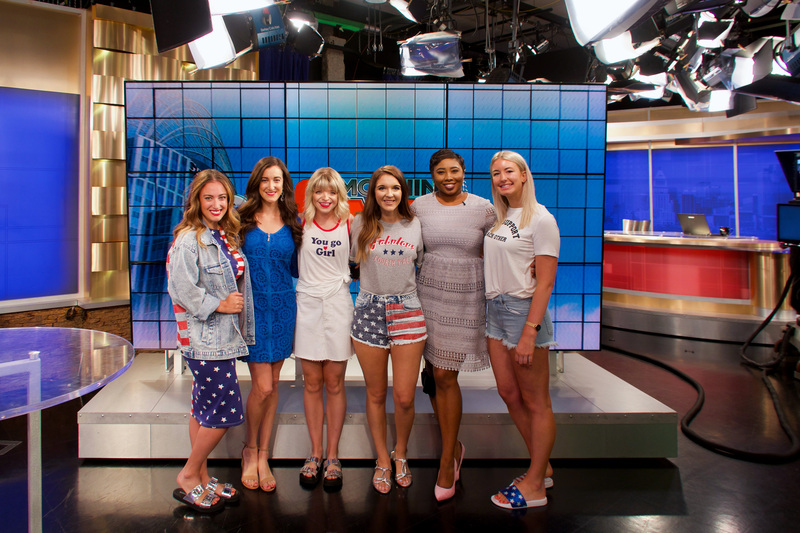 I got asked to host a fashion segment about H&M’s Fourth of July clothing line on Fox 19. The lovely bloggers pictured above served as the models to style pieces from the H&M collection, which mixes messages of female empowerment with patriotic American themes. For select pieces purchased from the line, H&M is donating $1 to Girl Up, a United Nations program that enables women in developing countries to take part in social, health, and economic programs to escape a life of violence. Shopping for a cause…does it get any better?! It was a ton of fun getting to talk about this incredible cause and discuss the patriotic fashions the girls were wearing. You can watch the segment below. Great job on the news segment!